ADMET concrete testing equipment and software were used by the engineers who developed the initial test standards for fiber reinforced concrete. This early work resulted in ASTM C1609 Flexural Strength of Fiber Reinforced Concrete being adopted as one standard used to qualify this composite material. 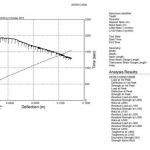 ASTM C1609 specifies that the test must be performed in servo control at very slow net deflection rates. 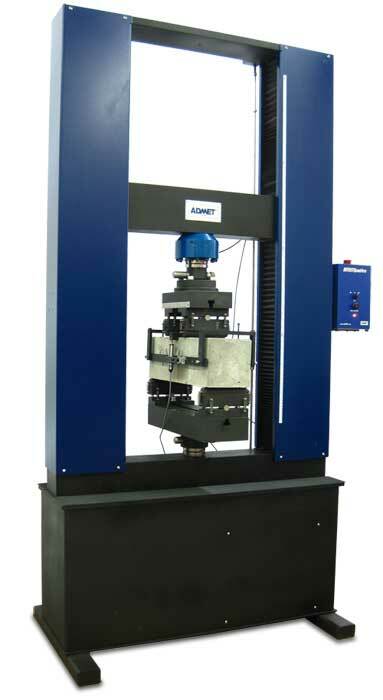 ADMET is one of the only testing machine manufacturers in the world that offers equipment to perform this demanding standard. 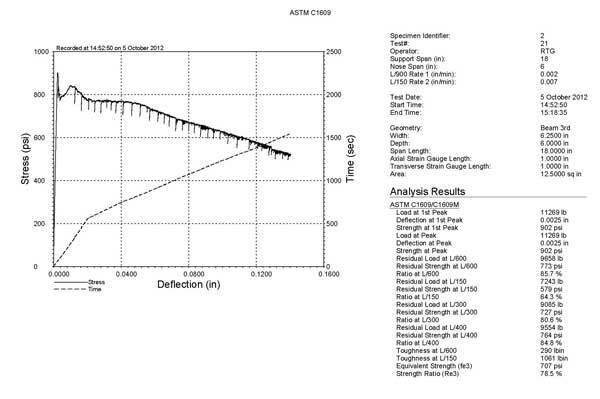 Almost all C1609 tests can be performed on a 100kN (22,500 lbf) testing machine. 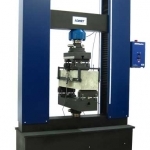 ADMET offers a complete C1609 test package which includes our eXpert 2654 Dual Column Testing Machine equipped with the MTESTQuattro® Materials Testing System and the 3-point bend fixture with associated transducers to measure net deflection. Three Case Studies, Three Success Stories! Have a quick question about concrete testing equipment?